Granite Countertop Warehouse and Crowe Custom Counters has a great selection of sinks and other accessories. Many of our customers prefer to add extraordinary sinks and fixtures to go with their granite countertops. In this weeks product spotlight we feature a Hand Hammered Round Copper Bar Sink featuring an Artisan basin with Basket Weave pattern and decorative rim. Whether you are serving your guests in the casual setting of your living room or entertaining in your mancave, the granite countertops coupled with this exceptional sink adds detail and depth to the room and that will make people take notice. This Copper Bar Sink is Hand Hammered and embossed with Basket Weave pattern and has a natural warmth and timeless beauty that echoes of the past yet is rich in ‘modern-day’ appeal. A round copper sink of harmonious proportions, will instantly transform any bar into an inviting place filled with natural sophistication, rustic elegance and undeniable style! 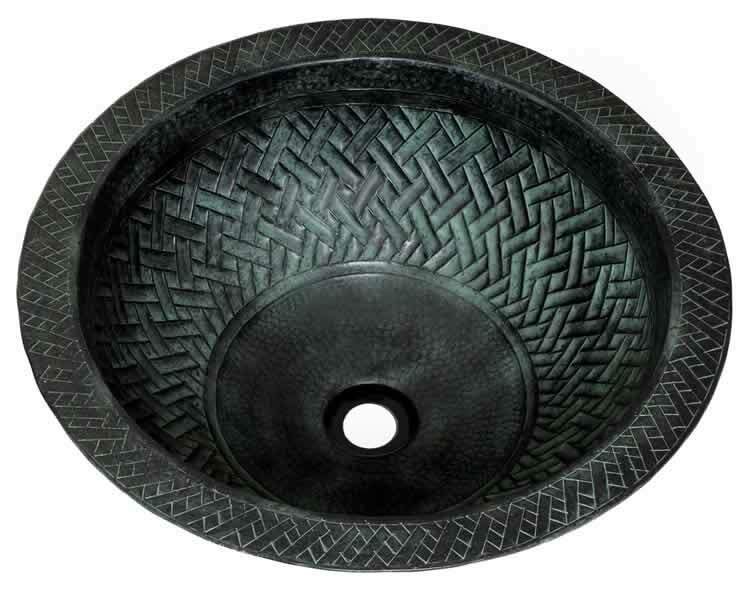 Artisan basin with Basket Weave pattern and decorative rim.